Elite Education Group’s Refugee Education Project in Bogor, Indonesia recently completed its first semester. Founded in January 2018 at the Hope Learning Center (HLC) in Bogor, the project has set out to bring the flexible, transferrable, accredited education model of Elite Open School (EOS)—a micro-school utilizing digital curriculum in blended classroom settings—to refugee children in a region of conflict so that they may secure for themselves a better and more stable future. One semester in, the project has proven to be an unmitigated success, with students achieving incredibly high marks in an accredited, rigorous, and accelerated curriculum. The program at HLC is structured around three main goals: (1) to offer accredited US high school transcripts and diplomas, (2) teach skill sets that are currently and will be in high demand in any workplace, including coding and computer programming, and (3) help students master English proficiency so that they may communicate and collaborate with others around the world. To accomplish these goals, students, teachers, and staff at HLC faced a number of significant challenges, from utilizing classroom technology in a region with unreliable internet access to retaining students who often sought out encampments—many of them illegitimate—that promised to help them attain legal status in other nations. Through the use of cellular technologies, offline cache solutions, and community information seminars, teachers and staff at HLC and EOS have and continue to successfully address these logistical concerns while guiding and motivating students through EOS’s individualized curriculum. Elite Open School has also established a high-tech digital classroom at HLC, which currently includes 50 computer workstations. Additionally, EOS is providing funding for the highest-quality internet access in the region and has been involved in upgrading the electrical infrastructure of the campus itself to accommodate growing student needs. Prior to the first semester of EOS, the fifty students attending HLC, ages 14 to 23, were completing coursework from the Cambridge IGCSE program with books that covered the US equivalent of Grade 5. Given the irregular teaching of classes and unreliable assessments, EOS teachers and staff thought it important to start all students, regardless of age, with Grade 6 classes in four core subjects: English / Language Arts, Math, Science, and World History. The self-paced curriculum of EOS allows students to speed up during concepts that they find easy. Some students at HLC were able to accelerate through the first-semester curriculum at a remarkable speed, completing the year-long courses in just 10 weeks, while others completed their courses in 18 weeks (half the time of the standard 36-week model). Most impressive of all, each student completed this course of study with grades in the A-range. At the time EOS arrived in Bogor, the EOS blended-learning model had only been attempted in major metropolitan areas and for families of means, never those in crisis. But the results of EOS’s first semester in Bogor suggest that its pedagogy could be crucial in providing educational equity across the globe. The learning model of EOS allows students to communicate remotely with teachers via an online messaging system and receive individual mentoring via in-person staff in blended-learning classrooms. In addition to learning core subjects, EOS students receive targeted help in issues such as time management, cognitive difficulties, and motivational issues. At the end of the first semester, the average grades in all four core subjects were above 97%, with 14 students earning a 4.0 GPA overall. As these same students now proceed with Grade 7 English / Language Arts and Math, Life Science, and a second semester of World History, average grades in all subjects are again well within the A-range. The presence of EOS in Bogor could not come at a more important time. As of 2016, The Office of the United Nations High Commissioner for Refugees (UNHCR) reports that there are about 14,000 displaced people in Indonesia, including those accepted for resettlement and those in detention centers, awaiting deportation back to their countries. According to the latest education reports, 3.5 million refugee children worldwide did not attend school in 2016. Only 61% of refugee children attend primary school, compared with a global average of 91%. As refugee children age, the obstacles to education increase. Just 23% of refugee adolescents are enrolled in secondary school, compared to 84% globally. For tertiary education, the situation is critical. Only 1% of refugee youth attends university, compared to 36% globally. 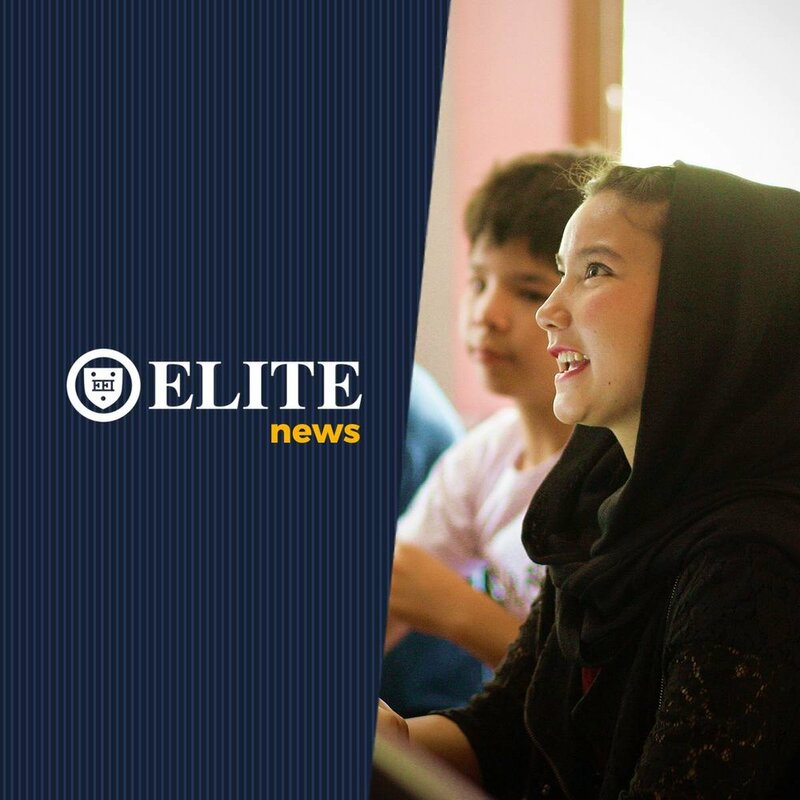 In the years ahead, administrators at Elite Open School will look to HLC as a model for opening EOS campuses in other regions of the world where refugee children find themselves in unpredictable geopolitical settings. To this end, EOS envisions extending an accredited US high school education to students around the globe. “Our work in Bogor is part of a larger effort,” Mr. Kim said. “This work is a part of our ongoing projects with the World Economic Forum education partner as we explore what the ‘schools of the future’ look like and how they operate.